Brimo Di Castro Kugel is a collaborative exhibition space in the center of Manhattan, born out of three of the world’s leading galleries’ long lasting friendship and mutual desire to juxtapose their respective specialties. Following the success of their inaugural 2015 exhibition at Academy Mansion in New York City, the galleries opened a unique showroom on Madison Avenue where they hold several short exhibitions each year in accordance with the city’s arts calendar. Visits outside of scheduled exhibition hours are by appointment only. 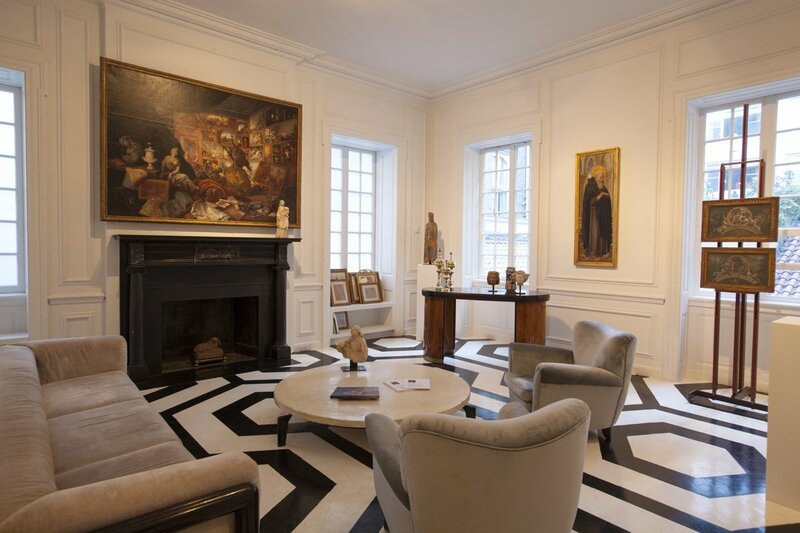 The gallery Brimo de Laroussilhe, specializing in Medieval and Renaissance art, opened in Paris in 1908. They have long provided private collectors and major museums with masterpieces including Romanesque and Gothic sculptures and works of art, early Limoges enamels and Gothic ivories. The Di Castro family have been respected antique dealers on Piazza di Spagna in Rome since the 1870’s. Today, Alessandra Di Castro is a leading authority in Italian decorative and fine arts ranging from Antiquity to the Grand Tour, focusing on Roman classicism throughout history. The Kugel brothers are fifth generation antiques dealers, unique in the extensity and eclecticism of their specialties. Galerie Kugel presents works from the Middle Ages and Renaissance up to the middle of the nineteenth century and represents a landmark for collectors and museum curators alike.